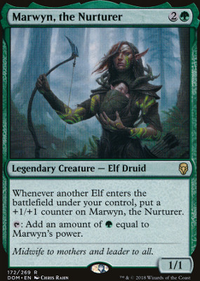 Whenever another Elf enters the battlefield under your control, put a +1/+1 counter on Marwyn, the Nurturer. 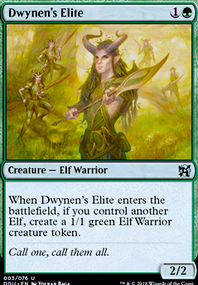 : Add an amount of equal to Marwyn's power. 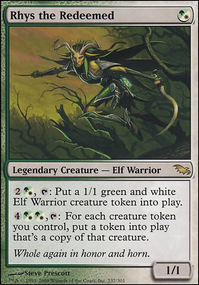 Also, I just realized I have some elf tribal ramp cards such as Priest of Titania , Marwyn, the Nurturer , Elvish Archdruid , etc.. With the new mana dorks I'm adding in, would this package improve it? I unlocked a Marwyn, the Nurturer this morning. I'm getting there slowly! WhatevWorks: not sure what your point is? it doesn't change the facts of what i said. 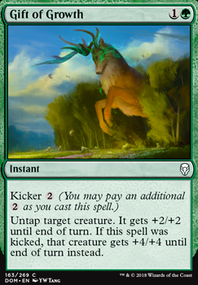 that sort of combo requires that you draw really well (by which i mean "get lucky") and likely leaves you with an empty hand and small boardstate when an opponent just Path to Exile 's your big creature because you didn't draw the one single copy of Whispersilk Cloak in the deck. 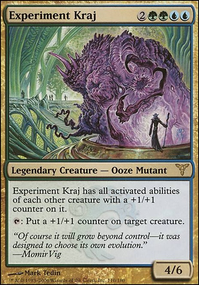 your biggest creature in the deck is a 2/1, your power buffs are all instants (meaning temporary), and you have zero sources of trample. 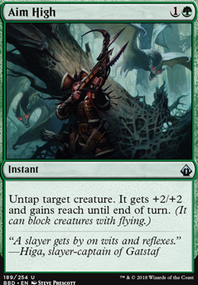 trample or other evasion is absolutely mandatory if you're attempting to dump all your resources into one lethal shot. 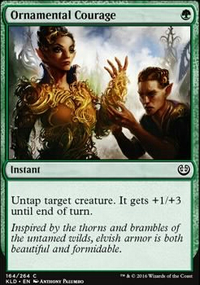 1 single Whispersilk Cloak won't cut it, and you'll end up getting chump blocked by tokens. 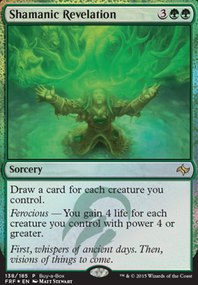 the deck folds hard to discard and counterspells. 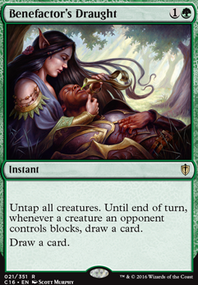 your deck has no interaction, which means you have to be able to ensure a turn 4 win (at latest), while also contending with opposing interaction. 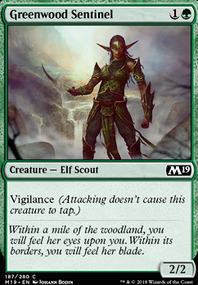 if you don't draw your Marwyn, the Nurturer / Viridian Joiner , or if an opponent casts a turn 1 Thoughtseize and takes one of them, you lose. 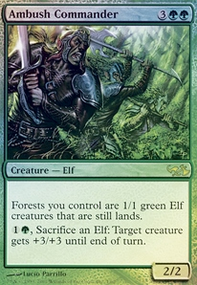 PlatinumOne, the amount of mana generated by targeting Marwyn, the Nurturer or Viridian Joiner with two or three copies of Savage Surge / Aim High / Gift of Growth is more than enough on T3-4 to storm off with a Rishkar's Expertise or some such, then chain untap/buff spells and draw-based-on-power spells until Marwyn swings for lethal and you've got a Whispersilk Cloak in hand with 50 green mana floating. 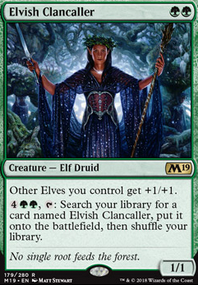 If an Elvish Archdruid list gets lucky, it might be able to land an Eldrazi titan by turn 4. Hey. 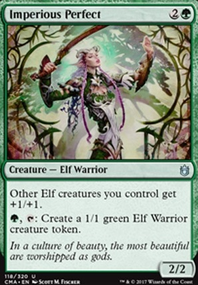 I made a deck that's trying to use Marwyn, the Nurturer or Viridian Joiner in conjunction with Gift of Growth and similar cards to make ridiculous amounts of mana and a gigantic creature, then win with that. 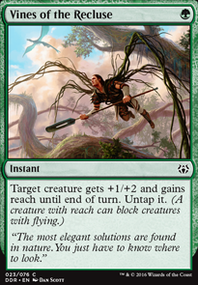 It can pull off early wins (usually turn 3-4 when things go your way), but I'm looking to increase the consistency. Thanks! 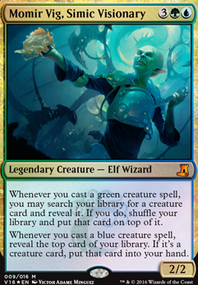 Using Llanowar Envoy you can convert the green into blue and white. 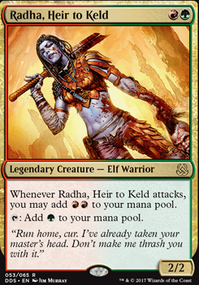 Once you hit 7/7 on Marwyn, the Nurturer you generate on extra mana every cycle. 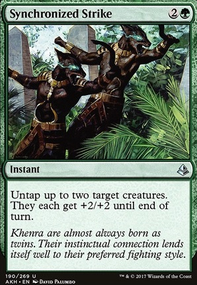 Then you use the mana on Mystic Archaeologist to find Banefire and win the game. 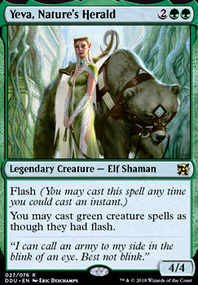 I guess I might be missing something, but I don't see a need for Reliquary Tower here. 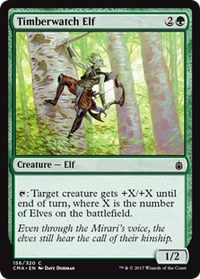 Hey just checking out infinite combos with elves. just made my own and seeing if anyone has done anything like mine. 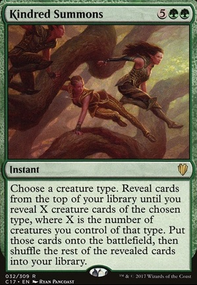 i just had a question, how are you paying for the High Alert cost to achieve infinite mana if all Marwyn, the Nurturer and Llanowar Elves produce is mana? 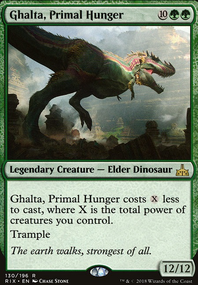 just curious, not sure if i'm missing something here?